Leonard Cohen last passed this way on May 9, 2009. And I wanted to start this thread now - because I keep seeing some good "pre-concert" reports that include comments by UHTC members - Roscoe Beck, Sharon Robinson. 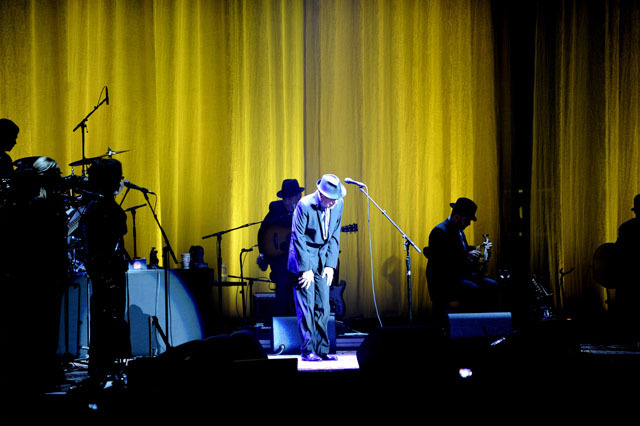 When Leonard Cohen last came through Detroit with an elegant show at the Fox Theatre in May 2009, it seemed a fitting farewell from the Canadian singer-songwriter, who was 74 at the time and performing what appeared to be his final tour. Rather, that outing led to a creatively fervent period for the baritone-voiced poet, who earned a lifetime achievement Grammy in 2010. This past January, he released "Old Ideas," his first album of new material in eight years, and over the summer he announced he'd be hitting the road again for another round of tour dates. Now 78, Cohen performs Monday at the Fox. The tour started in Europe in August and has been going "amazingly well," says Roscoe Beck, Cohen's bassist and music arranger. When the last tour wrapped in 2010, Beck wasn't sure if it was Cohen's final round of dates, but "we were all hopeful" another tour would come to pass, he says. "The whole thing is amazing to me," says Beck, who has been working with Cohen for more than 30 years. "We're just ecstatic to be working with him in his late career. Leonard is really at the peak of his career at 78 years old." Cohen released his debut album, "Songs of Leonard Cohen," 45 years ago, but he has always seemed older than his years. His voice, which is so deep it could send shivers down Darth Vader's spine, is one of music's most distinctive instruments, and his catalog has only grown in stature with time — just ask all those kids covering his signature 1984 hit "Hallelujah" on "American Idol." 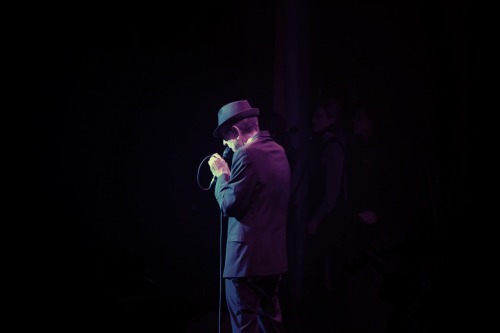 Cohen's 2008 tour, which followed his induction into the Rock and Roll Hall of Fame that year, marked his first round of live dates since the early 1990s, and at the time many thought he had retired from live music. But that tour — spurred in part by his financial troubles after his former manager drained millions from his retirement fund — was a huge success, and found him playing to a whole new generation of rapturous fans. "It's a phenomenon," says Sharon Robinson, one of Cohen's backup singers and longtime collaborators. "He's someone who has dedicated his life to his art, and in that way, it's really moving for people." Shows on the current tour have been hitting the three-hour mark. They are marathon-style shows that cover his entire career, up to and including "Old Ideas." "Leonard often says at the beginning of the show, 'I don't know if we'll pass this way again, but tonight we're going to give you everything we've got,' and he really means it," says Beck. "Because who knows if we'll visit a particular city again? And he wants to leave a lasting memory, and he really will. He'll play right up until the last 10 seconds of the curfew, and sometimes beyond that, despite the fact that it will cost the tour money. If he feels like he hasn't achieved what he wants to achieve, he'll go, curfew be damned." So is this the last time Cohen will play Detroit? Beck's not sure. "I would tell any fan of Leonard, if you know you'd like to see him again, I wouldn't miss this show," he says. "Because (his coming back) isn't guaranteed at all." Leonard Cohen sings songs of love and heartbreak. 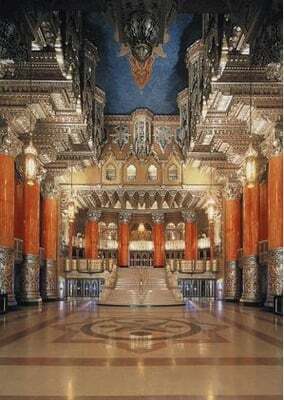 He performs at 8 p.m. Monday, Dec. 26, at the Fox Theatre, 2211 Woodward Ave. Tickets are $9.50-$253.50. Call 313-471-6611 or visit http://www.olympiaentertainment.com. The last time Leonard Cohen went on tour — from 2008-2010 — he had to. But this year he’s back, and it’s for the love of music, not money. “This year, I think, he’s touring because he really wants to for the first time ever — and not for any other reason,” says Roscoe Beck, Cohen’s bassist for the past 33 years. He also was Cohen’s musical director the last time out, and again on the current Old Ideas Tour. “It’s not because he needs money, not because a record company is telling him to ... like it has been in the past. 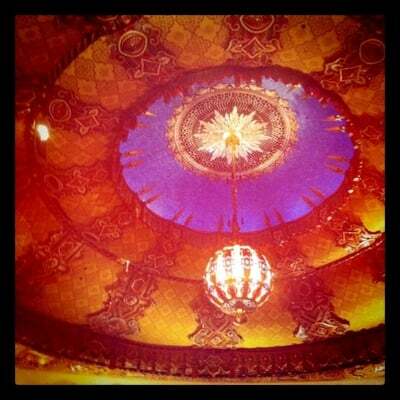 Leonard Cohen performs at 8 p.m. Monday, Dec. 26, at the Fox Theatre, 2211 Woodward Ave. Tickets are $9.50-$253.50. Call 313-471-6611 or visit http://www.olympiaentertainment.com. Beck, 58, agrees that the 78-year-old Cohen, who spent 14 years semi-retired from performing, has entered a new era since 2008 — “the most amazing one yet, because it certainly seems like Leonard is actually at the peak of his career now, all over the world.” And that’s saying something, given Cohen’s history before then. He was never entirely cut out for pop stardom, much less a member of “the highest and most influential echelon of songwriters,” as Lou Reed said when inducting Cohen into the Rock and Roll Hall of Fame in 2008. The Montreal native began publishing poems while studying at McGill University and winning prizes from the Chester MacNaghten Literary Competition, among others. Cohen’s first book, “Let Us Compare Mythologies,” came out in 1956. Poetry and writing were not big-money gigs, however, so during the mid-’60s Cohen moved back to New York City (he had spent a little time at Columbia University), spending time with Andy Warhol’s Factory collective and around the burgeoning Greenwich Village folk scene. He released “Songs of Leonard Cohen” that same year and has released another 11 since, including “Old Ideas,” which came out during January in the wake of Cohen’s successful last tour. With his idiosyncratic melodic sensibility and dry delivery — in songs delving into politics, sexuality and tortured romanticism — he was not one to have hits. But like Tom Waits and John Hiatt, his songwriting was enormously influential and his songs often covered. Jennifer Warnes, his onetime backing singer, recorded an entire album of Cohen songs for 1987’s critically lauded “Famous Blue Raincoat” (produced by Beck); and admirers such as Elton John, Billy Joel, Sting, R.E.M., Nick Cave, U2’s Bono and others saluted him on ’90s tribute albums such as “I’m Your Fan” (a play on Cohen’s song and album “I’m Your Man”) and “Tower of Song.” Jeff Buckley, meanwhile, recorded a definitive version of Cohen’s hymn “Hallelujah,” which became a go-to song for poignant moments in films and TV shows. The upshot of all this is that Cohen — who took a five-year hiatus in 1994 to study Zen Buddhism and, in fact, become ordained as a Buddhist monk — gradually and quietly “became a legend,” as musical director Beck puts it. And no one was more surprised than the man himself. “When we began discussions about touring in 2007, I can remember him saying to me, ‘I don’t know if there’s an audience out there for me,’ and that wasn’t just talk,” Beck recalls. “The promoter was saying, ‘Oh yeah, there’s people dying to see you, this tour will be really big,’ but Leonard was very unsure. The promoter proved correct, of course. Cohen’s two-year trek — which included a 2009 visit to Detroit’s Fox Theatre — drew sell-out crowds, earned rave reviews and produced the 2009 album and DVD “Live in London.” The newfound popularity helped the “Old Ideas” album became his highest-charting album of his career, debuting at No. 1 in 11 countries and No. 3 on the Billboard 200 — his best-showing in the United States by a good 60 points. “The last couple of shows he’s changed that line slightly to ‘I would like to tour a couple more years, but just in case we don’t pass this way again, tonight we’ll give you everything we’ve got’ — and he certainly means it,” Beck says. Where on earth did they come up with "DECEMBER" 26TH, 2012 for the concert date? ladydi wrote: Where on earth did they come up with "DECEMBER" 26TH, 2012 for the concert date? Not randomly - lol - they used the wrong month. The show is Nov 26 - not Dec 26.
such a wonderful legacy of art, song and personality. 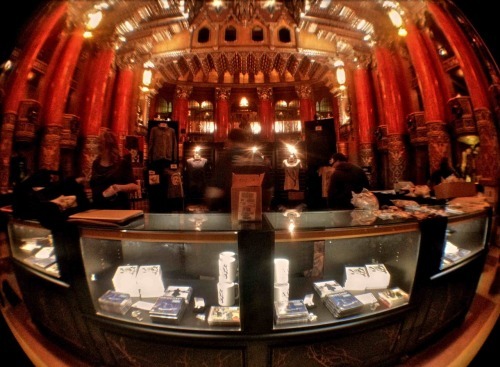 Merch master Tom Herraty has his team moving quick during the pre-show count-in at the Fabulous Fox Theatre. A mild scurry backstage and out front as both techs and guests ready themselves for the show. Into Bird on a Wire and so far everything’s looking alright. I am surprised. It is 3 hours what should have been the end of the show and still no reviews??????? Where are you Marie, Diana, Donna..............??????? I know you were there and thoroughly enjoyed this concert!!!!!!!! We want to hear about it PLEEEEEAZE!!!! The gorgeous Fox in Detroit rocked last night - from 8:10ish to 11:40 or so, Cohen brought the heat, and we basked in the glow of his genius - and his team backed him up beautifully, the violin, guitar, the Prince of Precision on drums, Lars on the organ and keyboard, wow! Everything worked! Not to mention the wonder of the ladies - backing up and bringing the heat themselves to the forefront, it was just such a terrific show. Perfect. MaryB wrote: I am surprised. It is 3 hours what should have been the end of the show and still no reviews??????? Where are you Marie, Diana, Donna..............??????? I know you were there and thoroughly enjoyed this concert!!!!!!!! We want to hear about it PLEEEEEAZE!!!! Morning Mary! Brief note. Late night and up early, but will write my thoughts in a few hours...promise. The evening was visually stunning and musical perfection. 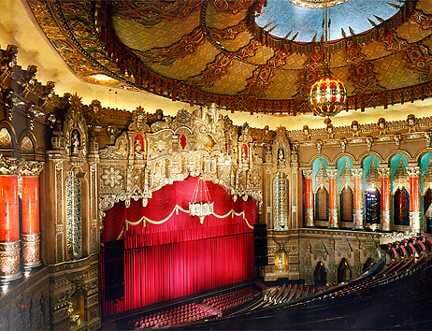 A perfection that only Leonard and the UHTC can create, and of course presented in the voluptuous intimacy of the Fox theatre! Otherworldly The details are in the details and LC has got the details down. So Long Marianne. 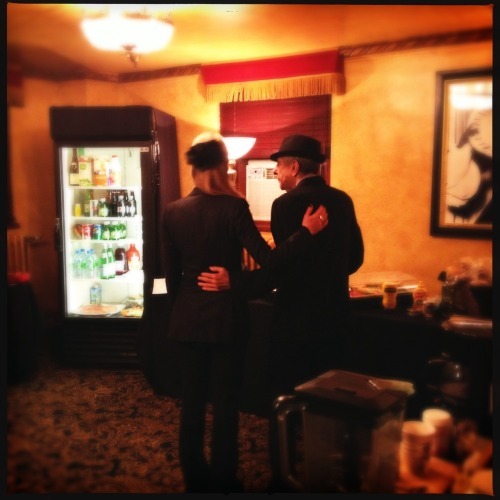 Leonard Cohen bows to the audience at the Fox Theater in Detroit for his performance on Monday, Nov. 26, 2012. The 78-year-old Rock and Roll Hall of Famer dazzled the Fox Theatre Monday with an epic-length, three-plus hour concert that spanned his momentous career. If it was his farewell to Detroit, as he teased early on, it was a fitting one, stretching 29 songs and unfolding with a peerless elegance that was magnificent to watch unfold. "Tonight we're gonna give you everything that we've got," Cohen said early on, and he lived up to that claim all night long. 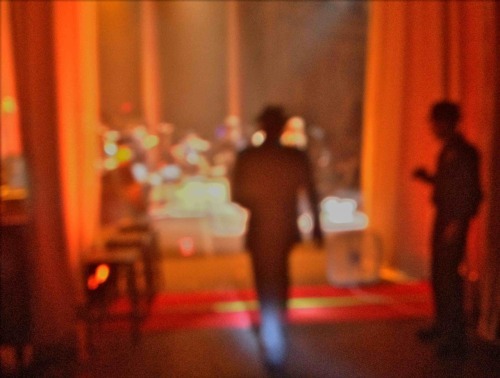 Trotting out on stage, though with a little less than spring in his step than he had during his last visit to the Fox in May 2009, Cohen kicked off the night with "Dance Me to the End of Love," falling to his knees like he was in prayer during the song. 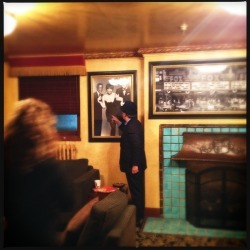 It was a move he would repeat throughout the evening, kneeling on stage as if to honor the Tower of Song he sings about. 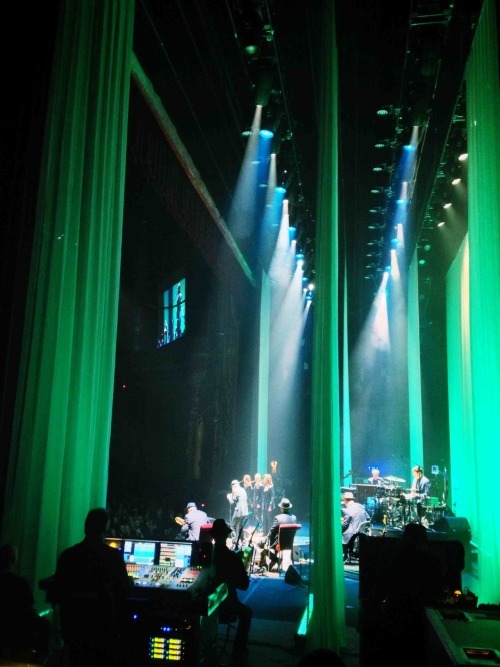 Joined on stage by his crack six-piece band and three backup singers, Cohen graciously shared the spotlight with his fellow musicians, introducing them several times during the evening and letting each have their own individual moments during the show. He took off his hat and held it over his heart while each played their solo, showing his deep respect and admiration for their talents. It was a reverence that could not be faked. Cohen bounced between decades-old standards and offerings from his latest, this year's "Old Ideas." Midway through the show he performed "A Thousand Kisses Deep" with a haunting intimacy, backed only by the slightest hint of organ, and he segued into "Anthem," his 1992 masterpiece that was the highlight of the night. "There is a crack in everything," the barrel-voiced Cohen sang, "that's how the light gets in." 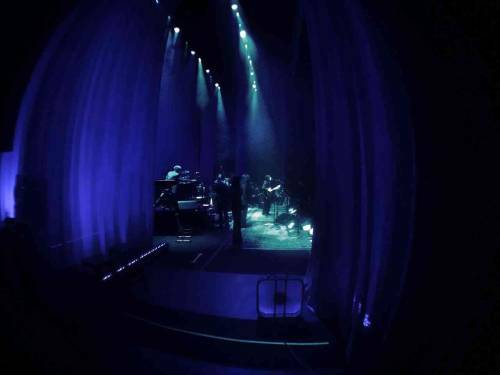 The stage was masterfully lit, with hues of purple, teal, blue, green and gold washing over the curtained backdrop, with Cohen and his bandmates fading into silhouette after each song. Those silhouettes made it seem like you were getting a behind-the-scenes peek at the musicians in between songs, as they traded instruments with stage hands and adjusted in their seats. It felt like you were watching the show come together from behind the stage. Cohen referred to the audience as "friends" throughout the evening, and those friends spontaneously applauded various Cohen lyrics throughout the night ("I ache in the places I used to play," from "Tower of Song," was a particular favorite). A fair number of Canadians were in the audience to honor their national hero, and Cohen did them proud. Three and a half hours after the show began — there was a 25-minute intermission midway through the show — things wrapped up, appropriately enough, with "Closing Time." It was two encores in and it was getting close to midnight, and some fans had started to head for the door. But you got the picture Cohen could have still gone on longer, like he had a little more to give before giving his final bow. Here's to hoping he comes through town at least once more before saying goodbye for good. Video by giventofly99 - Thanks! Special also was meeting up with several fans prior at the Hockeytown cafe. Wonderful touching bases with Nancy, Janis, and Barbara and Rick. Enjoyed visiting with you SO much! Most special of all though was Leonard and the UHTC. They were spectacular! Leonard was witty, slightly wicked, and full of energy. I think he could have gone on for another hour or more. The band was perfection! I love the addition of Alex and his violin (still missing a certain person though at stage left), and Mitch is fabulous. As Sharon sang "Alexandra Leaving" you could have heard a pin drop, and it brought tears to my eyes. It was said that one of the security men also had to wipe his eyes a bit. Of the new songs, I love Leonard's concert interpretation of Amen and Anyhow! Missed Joan of Arc, but The Guests was wonderful! The lighting was masterful, and the sound perfect. And as always the techs amaze me with their speed and precision. A couple of personal remarks. I prefer the intimacy of a concert hall to an arena but realize the revenue is much greater in the latter, however I feel blessed to be a part of this moment in time regardless of the venue. And Detroit...wow! You gave Leonard a great welcome last night!! The energy level was fabulous!